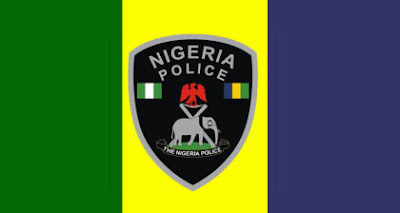 The Police Kwara state command in a press release issued on 2nd of May 2019 through it PPRO Dsp Okasanmi Ajayi have call the attention of the attention of the residents of Kwara state to the latest strategies criminals are now using to to rub people. The Commissioner of Police Kwara state Command, Cp Aminu Pai Saleh fdc, psc+,has observed with dismay the following criminal activities Ilorin metropolis. 1. Using unregistered vehicles to commit crimes. 2. Dispossessing commuters of their properties by criminals posing as taxi drivers. 3. Coverings of vehicle plate numbers by drivers to prevent easy identification. 4. Motorcycle riders popularly called "Okada" milling around Banks gates to pick passengers, creating security risks to both Bankers and customers. The Command is therefore warning members of the public of the above antics of criminal elements and at the same time advising the criminals to desist forthwith or get arrested and prosecuted. Divisional Police officers and other police officers of the command have been ordered to go after them with all their vigor, the command cannot fold its arms while some unscrupulous few put our jealously guarded peace in disarray. As Ramadan period is fast approaching, movements of goods and services is imminent, hence, the people are advised to always be conscious of their environment, board vehicles at recognised motor parks ,while assuring every residents of Kwara of their safety at all times, please.